There are no stupid questions. You can achieve anything you set your mind to. Practice makes perfect. My first tutoring job was offered by my counselor when I graduated from high school. I worked as a tutor at a community college, where I was tutoring my fellow classmates and students with chemistry (General Chemistry I & II, Analytical Chemistry, Organic Chemistry I & II and Inorganic chemistry I & II) as well as mathematics (Algebra, Geometry, Trigonometry, Calculus I and II). I tutor students of many ages, from the elementary level studying mathematics and science,to the college level of mathematics and science majors. My favorite subjects are mathematics and chemistry, at any level. My specialty is one-on-one tutoring and group tutoring. My tutoring style has been described as patient, passionate, dedicated, and friendly. My students think of me as a friendly person, as I maintain that relationship so that it is easiest for them to ask me any questions without any hesitation as well as understand the material in a much more comfortable environment. I believe that nothing is hard to learn in education if it's done step by step and taught in a manner for the students to comprehend and apply to their daily lives. Tutoring is one of the avenues that satisfies my desire to increase interest in the subjects I teach, and to allow students to get more out of their education. I spend most of my free time with friends and family and sometimes I take my niece and her friends for picnic. Rate details: I do charge minimum for one hour. There is 10% discount for next week if in previous week I have tutored you for more than 14 hours. My nephew was able to adding and subtracting with infinity line and numbers (even adding and subtracting at the same time) before he started his 1st grade and it only took me 2 hours to teach him. It's been 6 years that I have been tutoring for algebra. I know all tricks and tips about teaching algebra since I learned it in India as well as in USA. Basically, I start from current topics and decide weather they are missing some basic information or not by asking simple questions. If they are missing I go all the way back where it stared and fill in the gaps so math won't be magical and start making sense for the students. I got my algebra II teacher's recommendation. Algebra has always been piece of cake for me. Try me and it may become a piece of cake for you. I have tutored lots of students in chemistry. All of my students have increased their grades at least by two letter grades, if they follow my lesson plan. One of my high school student's grades jumped from F to A by the end of the semester. I have been tutoring geometry since 2008. It is very important to be master at prealgebra because this subject is root of math tree and all other maths and even some science such as chemistry, physics, etc are branches of that tree. PreCalculus is a bridge between algebra and calculus and thus it is important to understand than memorizing. My goal of tutoring is to make my students passionate about the subject and help them learn how to study independently. I had studied Hindi in India for six years. I have just completed a Hindi class at University of Houston with letter grade A. I can fluently read, speak and write in Hindi. I have earned my B.S. in Chemistry with Mathematics minor from University of Houston, where I passed Linear algebra (2000 level) and Advanced Linear Algebra (4000 level) classes with the letter grade of A. Currently, I am tutoring my brother in Advance linear Algebra. I took trigonometry in community college and passed the class with letter grade A. It is a very easy subject you just need to know study tips. I have received my B.S. in chemistry from University of Houston. I have received letter grade of A in both Organic chemistry I&II. While I was taking the class, I was tutoring my friends, which helped me gain confidence in the subject. I have also done some paid organic chemistry tutoring. I am currently helping one student in Organic chemistry II at UH. My daughter who is a sophomore has been having a tough time with Chemistry so we found Palak a few weeks before her mid-term. It was great for me to see my daughter's eye start to light up when Palak was able to help her begin to finally understand the concepts. We are excited about having Palak as a resource as we enter into this second semester! Palak has a true gift for tutoring. She was very knowledgeable about the material I was studying and taught me techniques to utilize during complex problems. She also guided me to a better understanding about the material and made sure I was comfortable with it before we moved on. Thanks for the confidence boost Palak, ready for my exam! Palak is a great tutor. She's very knowledgeable about chemistry, and is willing to do extra research if she is not fully up to date on certain topics. She knows lots of short cuts to reach answers to problems quickly and effectively. Because she is young, it is very easy to relate to her on a personal level. She makes up the best analogies to chemistry concepts, and they are very helpful for remembering things. Palak was often late in the beginning of my chemistry tutoring career with her, though. I had to meet her off campus at a place we both knew how to get to, to bring her over to campus so that she was able to know the area. It was inconvenient, but I was very desperate. Her knowledge did make up for her tardiness, and as time went on, she got much better at being on time. I would recommend Palak to others for sure! My daughter was very happy with the tutoring session and felt like it helped her a lot to prepare for a chemistry test the next day. Palak was patient and easy going while still requiring my daughter to work some problems herself which I feel is essential to the process. We will definitely keep using Palak. Rapid turn-around -- a truly great tutor! My daughter is a terrific student, but she was having trouble with the math in her chemistry class. Her chemistry grades were trending downward, so we contacted Palak, who helped her turn the whole situation around. Palak was extremely knowledgeable and able make chemistry concepts accessible. She and my daughter were a good match. They met many times and worked sometimes for three straight hours. I am so grateful to Palak for her expertise, scheduling flexibility, and willingness to put in as much time as it takes to get my daughter's chem grades back into the 90's. What a great experience! This tutor has my highest recommendation. Thank you for an excellent feedback. I am glad I was able to help your daughter. If you need anything in future feel free to get in touch with me. Palak has been tutoring me for my graduate school calculus class the past couple of weeks and has helped tremendously. This is a subject that I had no prior knowledge in. Palak takes the time to go step by step and make sure that you are not making any mistakes. If you don't understand something, she will go over it with you in a different format. I'm sure that all of the help is going to pay off in the long run! My daughter's grade in chemistry immediately improved after one session with Palak. This tutor was available to meet with my daughter within a few days and her assistance was invaluable! Very easy going method of teaching. Palak was able to convey some Calculus theories to my daughter by using simplistic everyday examples to illustrate. That helped her to grasp the basic concepts as she was getting flustered and lost in the complication of the mathematics lingo. I'm confident if we continue our sessions with Palak my daughter can gain the knowledge and confidence she needs to successfully complete this course this year. My son was very happy with what she taught. 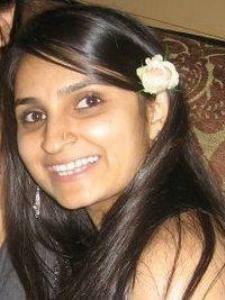 Palak was very professional and quick to respond to emails and text messages. Our son is in the 11th grade and his weakness is math. He was so excited that Palak was able to explain his Algebra II and give him skills and techniques that he was able to use right away to make a difference. His teacher was surprised (because he could not get through to him) but Palak did. We liked her personality and are comfortable with her. She was very patient and knowledgeable of what areas he needed assistance in. My husband and I commend her for her expertise with tutoring him and would recommend her to anyone who is looking for a great tutor. We had never heard of WyzAnt and were afraid to try it, but we are so glad we did.